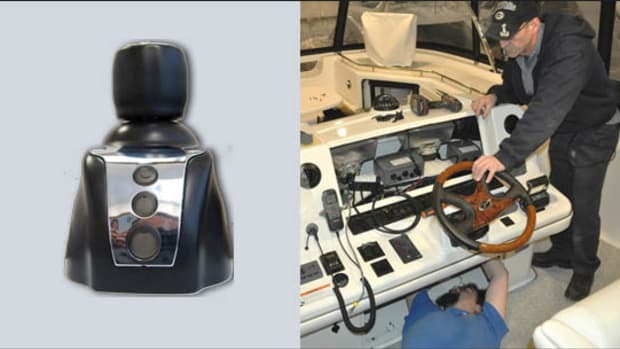 A bow thruster and joystick install on our Grand Banks 42 project vessel shows how attainable this technology is for today’s boaters. You strain your eyes to find your assigned spot and see it nestled in the corner in between two sparkling new yachts. The current is ripping and a crosswind’s picked up out of nowhere. Your stress level shoots through the flybridge. 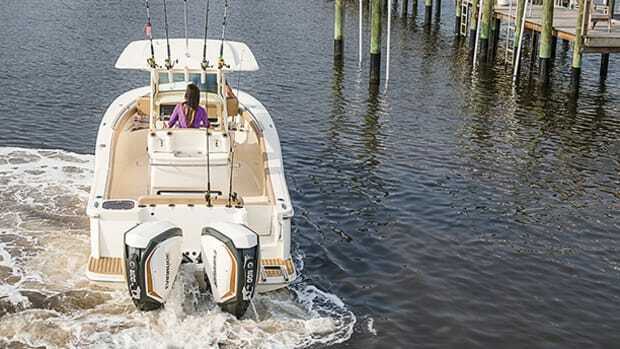 If you had a powerful bow thruster installed on your boat, and a joystick to go with it, there would be way less cause for concern—you could simply shuffle sideways and easily line yourself up. We knew that in order to make our Grand Banks 42 project vessel, Arawak, a truly modern cruiser (and fully ready for her return to bareboat charter in 2016) she would need to be equipped with the type of joystick handling I’ve just described. 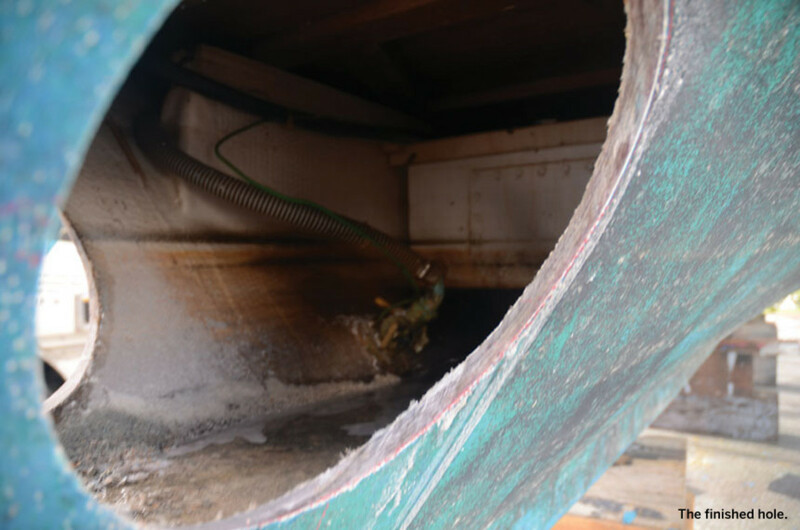 So for starters, because our twin-screw 42 didn’t have a bow thruster at the start of our refit project, we braced ourselves for a major undertaking. 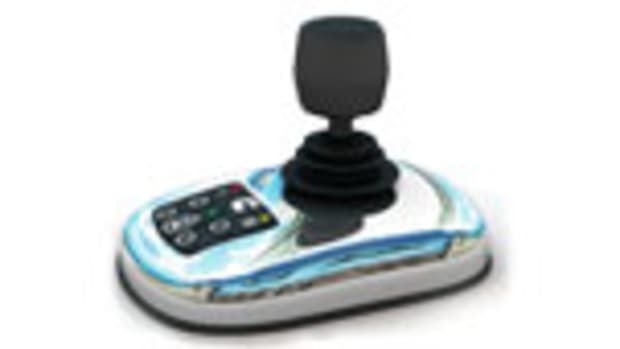 We’d soon be pleasantly surprised, though, to learn how advances in thruster technology and decreases in installation time are making joystick maneuverability more readily available than ever before for all sorts of applications. Using engineering formulas combined with years of experience, DeBoy looked at Arawak’s dimensions (including her windage) and new Yanmar propulsion package, to determine the optimum size thruster. If we’d been just installing the thruster, without the joystick, DeBoy says he would have chosen a Vetus 95 kgf (Kilograms of Force refers to the unit’s total thrust), which is an 8-inch thruster. But because we were also installing a Glendinning joystick, he recognized that we needed an oversize thruster to overcome the torque of the props, and decided a 10-inch 160-kgf model would be best. 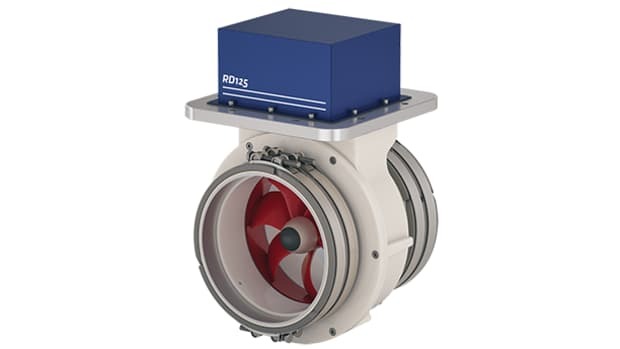 “The 160 is an extended-use unit, which increases the runtime of the DC thrusters,” says DeBoy. 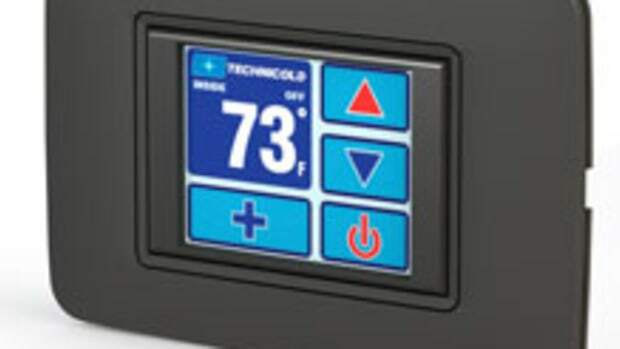 “A standard DC thruster has a run time of two to three minutes max within an hour before it needs to cool down. 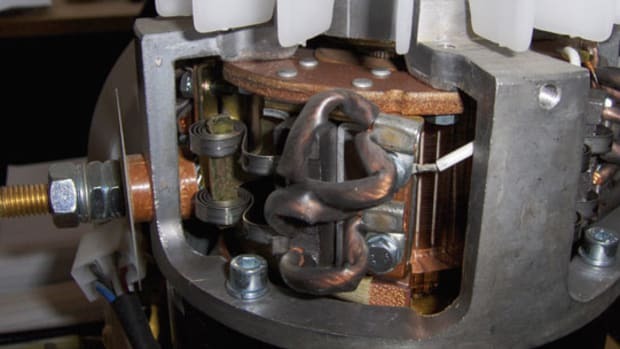 Go much further past that time limit and it will overheat and shut down.” Needless to say, losing power to a thruster in the midst of docking creates a very big problem for a boater. 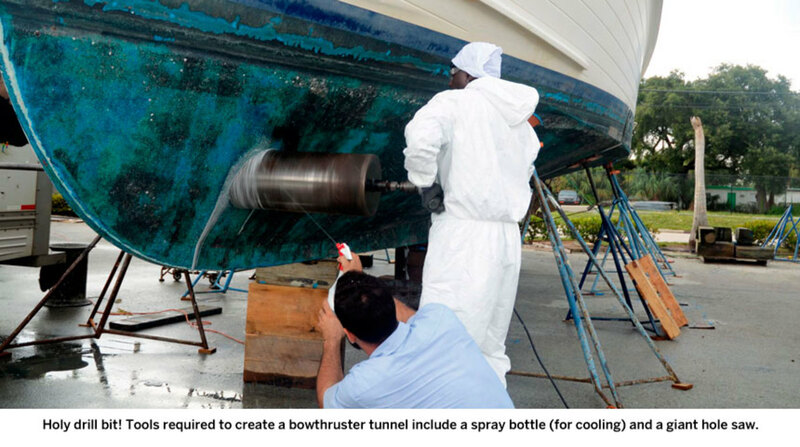 And true to his claim, Florida Bow Thruster had the glasswork done and units ready to run in just two days. So think about it—you could have your boat hauled on a Wednesday, [they’ll travel to your yard] and you’ll be thrusting out of the slings on Friday in time for a sundowner. 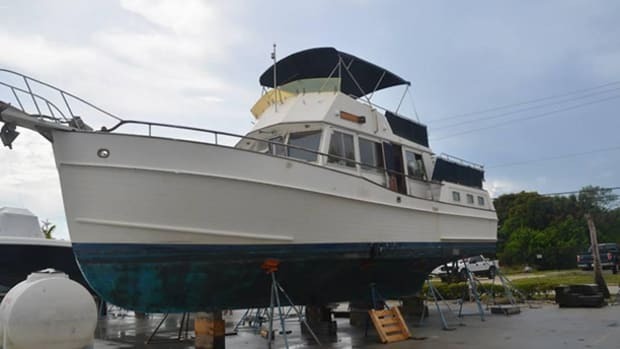 Since Arawak will be using a 24-volt thruster, Florida Bow Thrusters installed two 12-volt batteries and a separate 24-volt charger (in the area under the forward berth) connected to the AC side of the house panel. 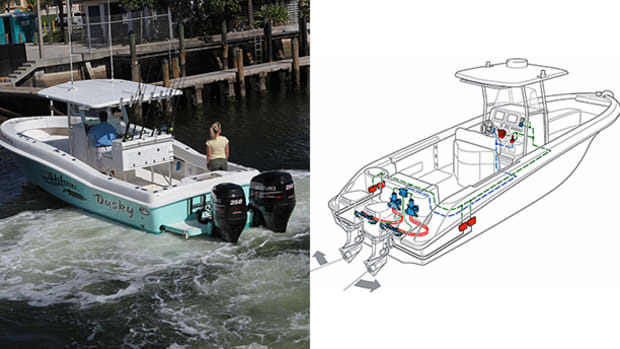 “So anytime a boat is plugged in at the dock, the batteries are charging,” DeBoy explained. In total, the cost for the thrusters and their installation was somewhere between $12,000 and $14,000. Joystick costs are not insignificant. The unit on Arawak retails for $4,800 and installation of the control and attendant components goes for about $5,000. 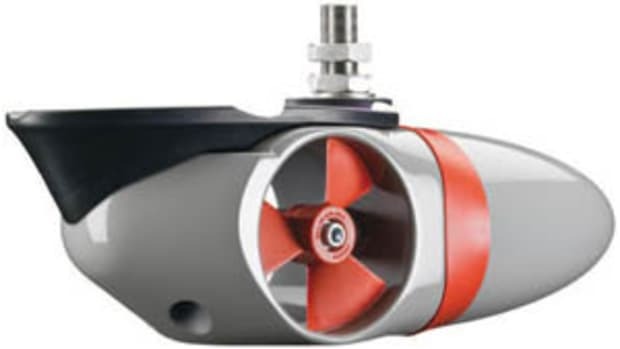 If your boat is equipped with bow and stern thruster the cost decreases dramatically. So for a relatively reasonable price, and just a very little down time, Arawak has now thrust her way into a realm of maneuverability once reserved only for jet- and pod-powered boats. This article originally appeared in the October 2015 issue of Power & Motoryacht magazine.